Because 2007 marks the start of Lee Child’s second decade as a thriller writer, and because this month brings his 11th Jack Reacher novel, Bad Luck and Trouble, to bookstores in his native Britain (with a U.S. edition due out next month), I thought it time to look back at my association with both character and creator. I’ll be doing so in a series of Rap Sheet posts, this one being merely the first. Way back when, before the most recent millennium crossing, I’d read a few reviews of Child’s panoramic American thrillers, all of which starred a former U.S. military policeman, Reacher. My first exposure to one of the actual works came after his second novel, Die Trying (1998), won the UK’s WH Smith Thumping Good Read Award. I did a little digging and discovered that Child’s debut novel, Killing Floor (1997), had captured both a Barry Award from Deadly Pleasures Mystery Magazine and the Anthony Award for Best Debut Novel. I was still not convinced, though, that I should pick up a Child novel, as my reading table was already brimming with books awaiting my concerted attention. To my surprise, I was captivated by Child’s The Visitor, and was propelled back to my local bookstore to purchase its three predecessors. I was bang up to date. But the following month brought out yet another Reacher adventure, Echo Burning, which I read with alacrity. I found myself attracted by three aspects of Child’s writing. First off, his books were flat-out fine reads. In addition, they harked back to that Golden Age of thriller-writing, and--most important of all--they offered a hidden depth, a concealed feeling for humanity. Those novels were packaged as gung-ho action adventures, reinforcing what seemed like a gun-totting right-wing agenda; but in reality, they were far from that, as they contained a complex intellectual dimension behind their truly exciting plots. 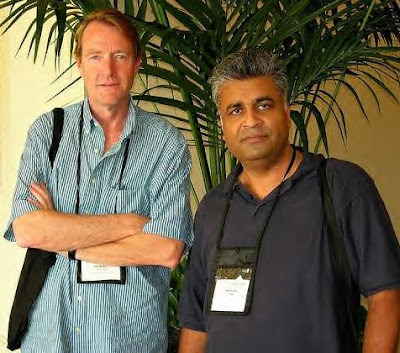 A serious aspect that I discussed with Lee Child was if he were concerned about the political liberalism that his work is peppered with. His books may be wrapped up in the mould of a right-wing action tale (as some of his readers, I conjectured, probably had right-wing leanings). In The Enemy we have a military tale which features Reacher’s partner being a black American lieutenant as well as the book tackling issues such as homosexuality in the U.S. army. Strong stuff. Lee considered that these issues made his work more interesting, as well as making people question their own belief and value systems, because while captivated by a bruiser type hero such as Reacher, we find Reacher standing up to injustice in all its shapes and forms. One time that [Child] did have problems was with readers writing to him about Echo Burning, which has a sub-plot featuring a group of illegal immigrants in Texas caught up in real injustice. This tale provoked a strong reaction in some of his readers, who could not get their heads around why Reacher would help illegal immigrants; when in reality the question was, why wouldn’t Reacher help these people who got themselves caught up in trouble not of their doing? This is one aspect of Lee Child’s work that elevates him above the standard action-genre. His work is peppered with subtle social commentary and he’s not afraid to confront the issues that exist in the real world, even if it is in the guise of a thriller. I called my Shots essay “David Beckham Washed My Car,” the joke being that David Beckham, the famous white British footballer, had recently been voted as one of the most popular black men in Great Britain--and by a quirk of fate, had actually washed Lee Child’s car when he was still a young comer in the sport. The following year, I met Child again, this time reading his latest Reacher outing, Without Fail, a book that had been shortlisted for the British Crime Writers’ Association’s inaugural Ian Fleming Steel Dagger and had also found a place on January Magazine’s favorite books of 2002 list. (Contributing editor and now Rap Sheet blogger Kevin Burton Smith described Without Fail as a “men’s adventure book for men and women who can read with their mouths closed and their minds [and hearts] open--smart, literate and just good old-fashioned thrilling.”) Again, our encounter came at the Manchester Waterstone’s, but this time there were between 35 and 40 people in attendance. Unfortunately, I was compelled to leave right after having my book signed, as I had an early meeting on the other side of the country the following day. I have often discussed my own love of Alistair MacLean’s earlier works with Lee, especially the stories that the Scottish/American writer told before his move from Switzerland to California; before his addiction to alcohol dominated his life so much so, that the stories after Circus  began to unravel. This revealed a reliance on formulaic plots and less on the edgy heroes he once so skillfully carved. ‘Men on a Mission’ is what [American film director] Quentin Tarantino referred to in his précis of the MacLean formula. I can report with relief that no such issues cloud Lee’s work. In fact, he has chiseled many diverse novels, from the violent chase thriller Die Trying, through the classical mystery of Tripwire to the surreal, serial-killer mystery The Visitor and then back to the Neo-western roots found in his debut, Killing Floor, with the blistering Echo Burning. In some respects, Lee Child is more akin to Ian Fleming, another British writer who wrote as an outsider from his beloved Goldeneye retreat [in Jamaica], setting the action in alien contrast to the ‘safe’ British backdrop of his home. The vista for Jack Reacher now becomes broadened with a panoramic grassy knoll conspiracy mystery, Without Fail. Each novel is like a ‘stand-alone’ adventure pitting Reacher against the alien terrain [America] that is his country of birth, but not that of his creator, and for that reason, the stories become hugely enriched. This enrichment is akin to Patricia Highsmith’s love of Europe and all its contradictions and amorality that played well with her deliciously warped Tom Ripley. European amorality even seduced Thomas Harris out of ‘retirement’ to wander to Florence for Hannibal Lecter’s return to his true home. The contrast is that Jack Reacher has to survive the amorality that swirls wherever he travels. Is it true that your wife, Jane, came up with the name “Reacher” while she was out shopping? She was naturally interested in how I was going to replace my monthly paycheck, and I told her I was going to be a novelist. She took it very well, really. Killing Floor, that first book, was a first-person narrative, and as it happened the main character didn’t need to be named until somebody interrogated him, about 20 or so pages in. So I had started the book and I hadn’t come up with a name I liked. We went out shopping to the supermarket and--like you probably, Ali, because you’re tall, too--every time I’m in a supermarket, a little old lady comes up to me and says, “You're a nice tall chap, could you reach me that can?” So Jane said, “Hey, if this writing thing doesn’t pan out, you could always be a reacher in a supermarket.” I thought, Reacher--good name. 2004 brought the publication of The Enemy, which I mentioned before, and which was a prequel of sorts to the Reacher series. That novel went on to win three prestigious commendations: the Nero Wolfe Award, the Barry Award for Best Novel of the Year, and--most conveniently--the “first annual” Jack Reacher Award, created by the editors of Crimespree Magazine, who are confirmed fans of this British-born author. By the next year, when Child made his traditional promo tour through the UK, this time touting One Shot, it had become a problem finding bookstores big enough to accommodate the increasing numbers of readers wanting to meet this writer and have their books autographed. The Waterstone’s Deansgate store in Manchester, which four years before had drawn only 20 people to hear Lee Child speak, this time attracted 200, its total capacity, with many more people having to be turned away. No longer was Lee Child a secret among thriller connoisseurs. He had definitely hit the big time. I'm a big fan of Lee Child's and I think he is getting better as he goes on. I hope Jack reacher has many more adventures. Child's name has popped up on my radar for awhile, but with so many books to read, he was easy to push away. Well, blast, now I'll have to grab a book of his and see what he's about. Jack Reacher accompanies me on holiday every year, fantastic plots, great characters, edge to edge gripping stuff, i hope theres many more, thanks Lee Child. I have never owned every single book from a particular author until I was given "61 Hours" then I purchased every Lee Child book/ Jack Reacher novel. I am a 33 year old female and if I would have "known" jack reacher in high school I would have joined the army then roamed the US just like him. Lee Child has made me feel more educated than any series/books I have ever read in my life. 61 Hours is my favorite and should be a movie! With someone like Dave Butista or even Jason Stahamn.